E.J. 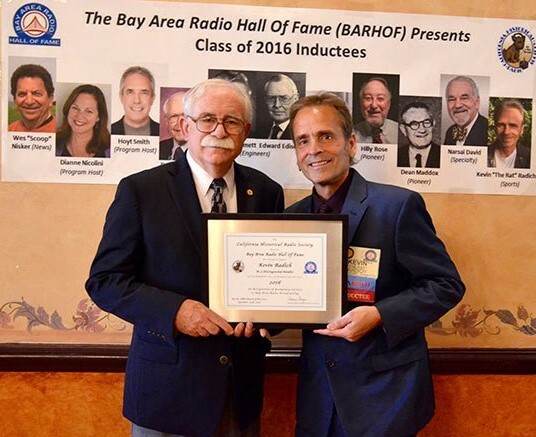 Manuel, Derek Carr, Jon Gruden, Oakland Raiders, Raiders, Oakland, Buffalo, Bills, Off-Seaon, Off-Season, NFL, NFL Free Agency, Florida State University, Interview. Ride w/ Murf & Harley to and from the game and hear the live tailgate experience! Murf & Uncle Mosh break down the Raiders vs. Rams and take it to church with Pastor Mondo! We catch up on the Raiders news, talk about Red Right 88 and have an interview with Scotland’s David Love! One of the most entertaining callers to our show over the years is Aaron "Que Dog" Raider. We caught up with Aaron this week plus take a dig around in RAIDERS history and talk about Cliff vs Timmy and The Ghost to the Post. We catch up with one of the newest Raiders, Long Snapper Andrew DePaola about life on and off the field. Uncle Mosh returns from the brink of death by intestinal mutiny (appendicitis). 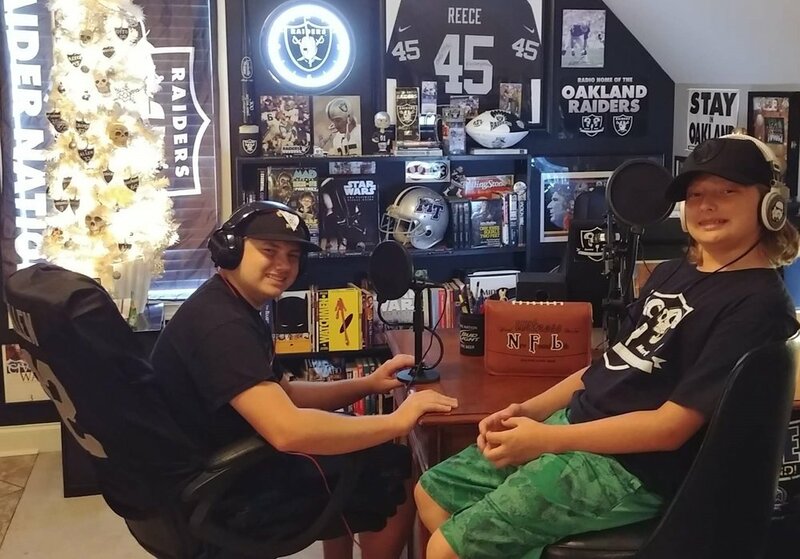 Special Father’s Day episode where we talk to the youngest of Raider Nation holding it down in the south! 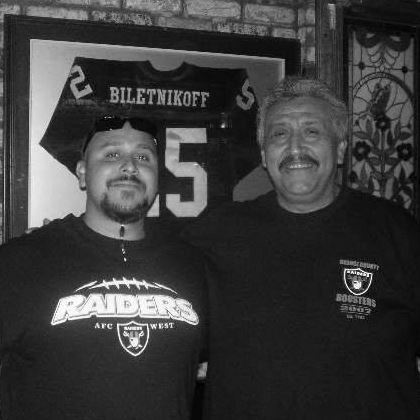 Mikey is one of the OG Raider Fan content providers and it was a blast talking to him! Check out Mikey on Twitter @RaiderCentral. Sign up for our RSS Feed below.